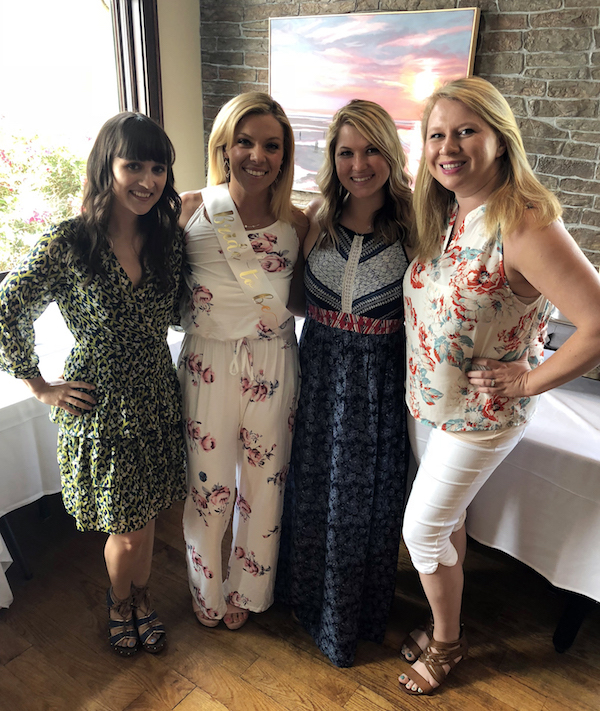 Last weekend, my girlfriends and I threw a shower for my bestie Lei, who is getting married this August. 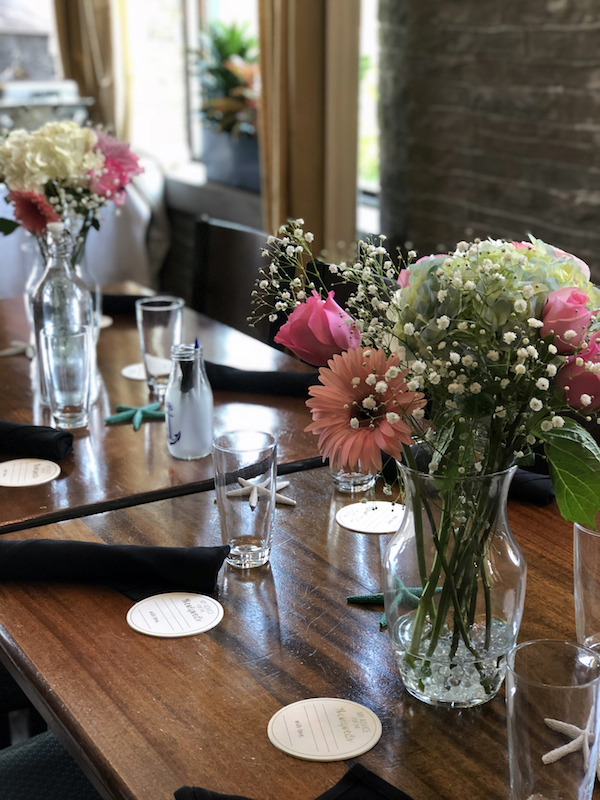 Party planning is one of my favorite pastimes, so I was thrilled to be able to help out. 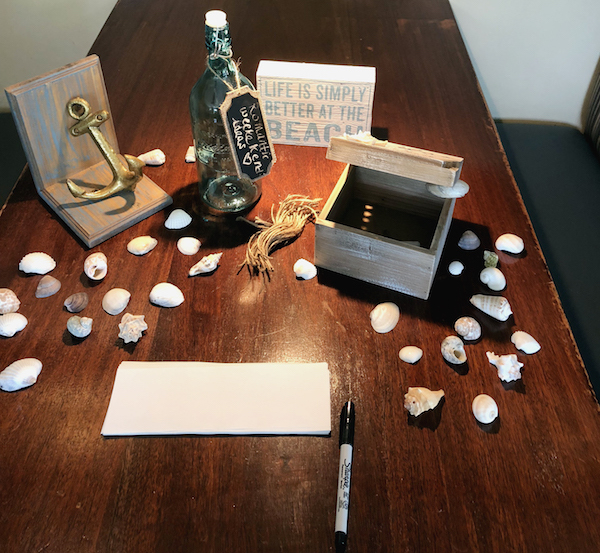 The venue had a waterside location and she loves the beach, so we decided to go with a nautical theme and a blue-and-white color palette with dashes of pink. 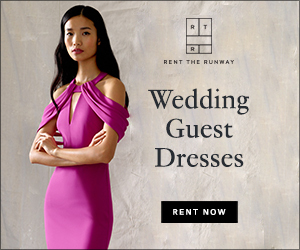 I loved the idea of a "Tie the Knot" banner but couldn't find one anywhere. An online search yielded a cheap-looking version for $20. Instead, I went to Michael's and got patterned pennants, some twine, and sparkly letters that added up to less than $10. 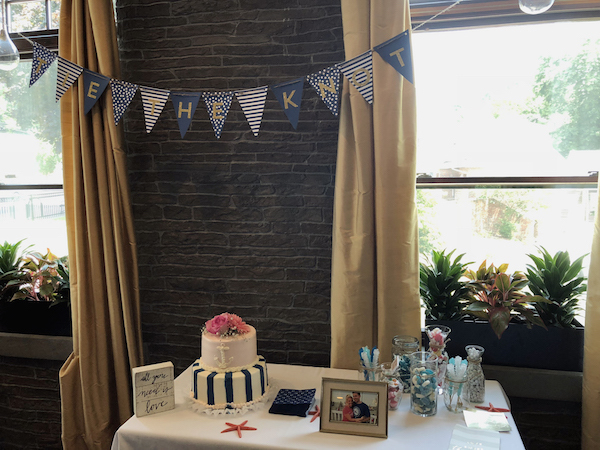 I was able to make two banners: "Tie The Knot" and "Lei's A Catch" from the supplies. 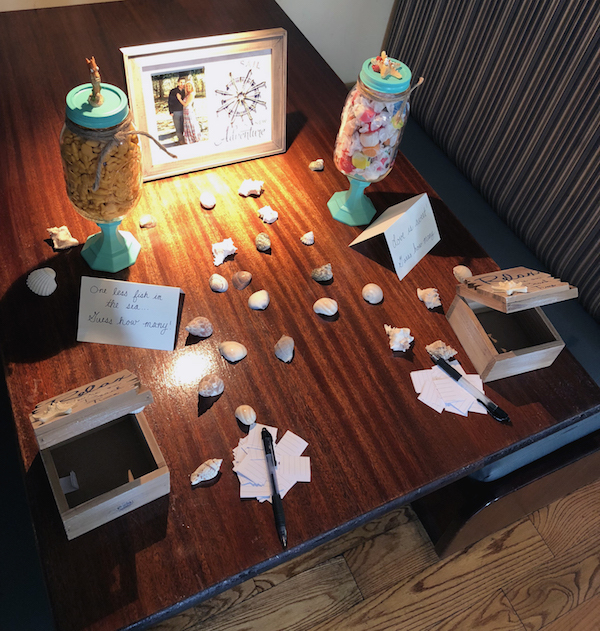 Pardon the puns, but I recommend this craft for any party—so cheap and easy, all you need is a hole punch! 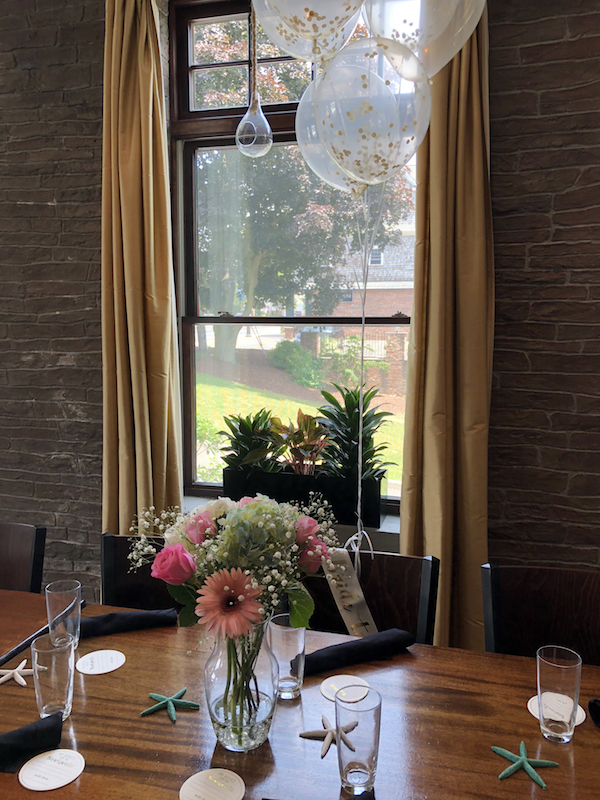 Another bridesmaid's mom made two mason jar trophies containing taffy and goldfish for a fun guessing game. 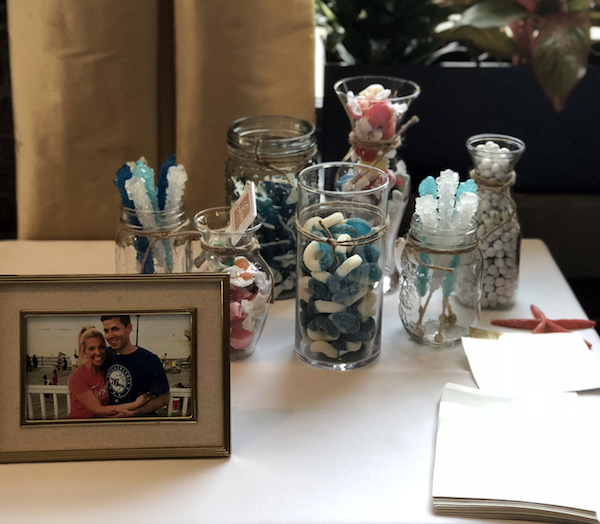 Aside from the winners, all guests got to take some sweets home from our DIY candy bar, featuring glass vases and "Love is Sweet" gift bags found by the Maid of Honor. 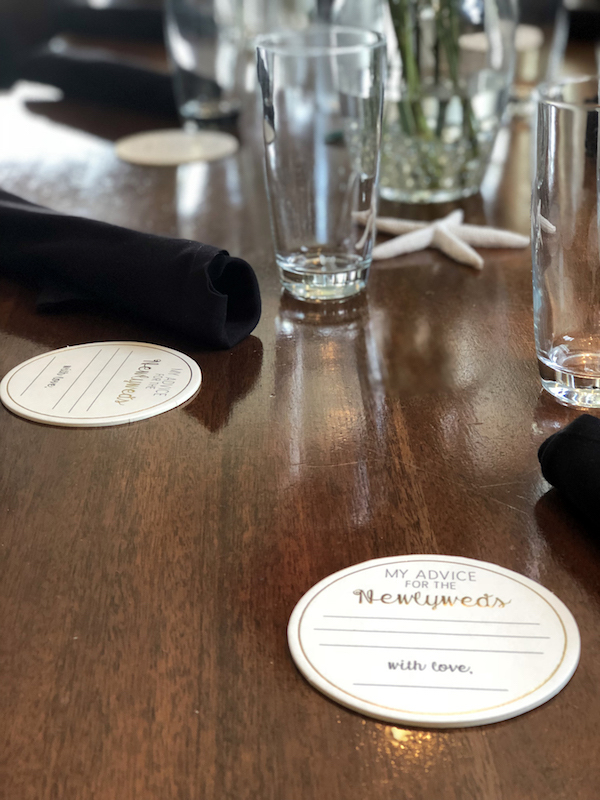 We also crafted a little message stand for guests to share romantic weekend ideas with the bride and put advice coasters (found at Marshall's) at each place setting. 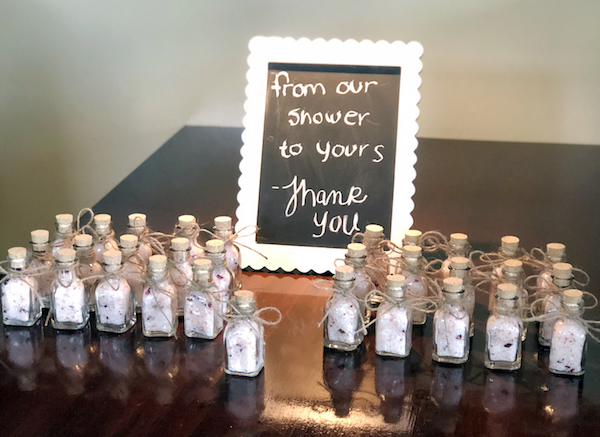 The MOH, also the bride's sister, made the cutest favors from little jars filled with bath salts and a sign that read "From Our Shower to Yours." 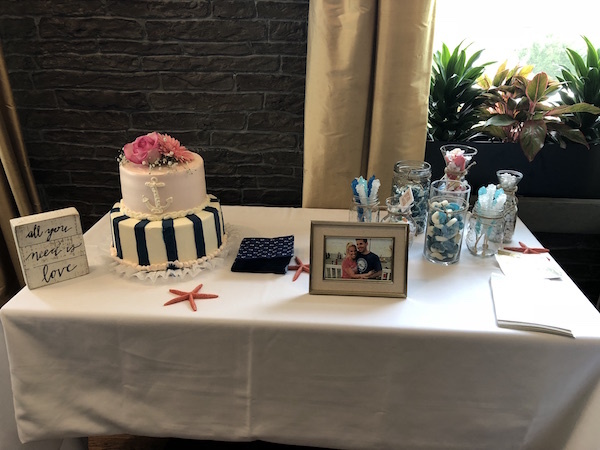 Shells, starfish, and beachy knick-knacks completed the scene, along with a delicious nautical cake from the mother of the bride. 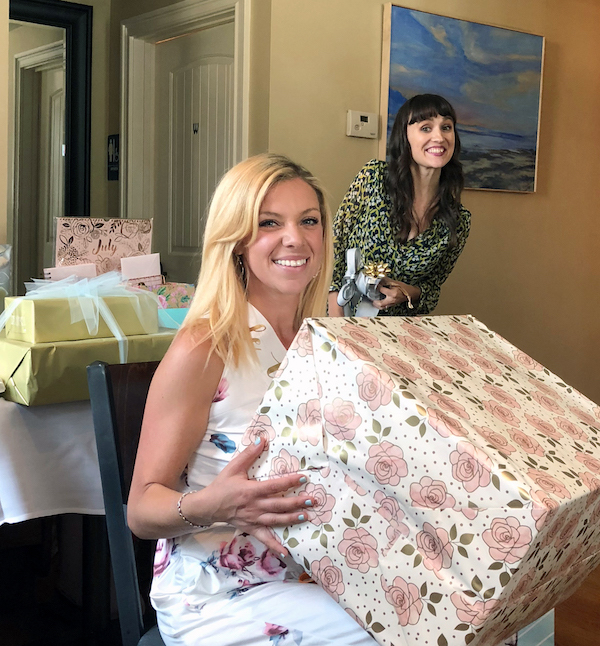 Lei loved it and everyone had the best afternoon. I got to take home a few decorations that transformed my bathroom into a beachy oasis, and it makes me smile and think of her every time I look at them. Oh my gosh, this is so gorgeous. What a wonderful theme! What a great theme! I love the cake, and the banner is really cute. 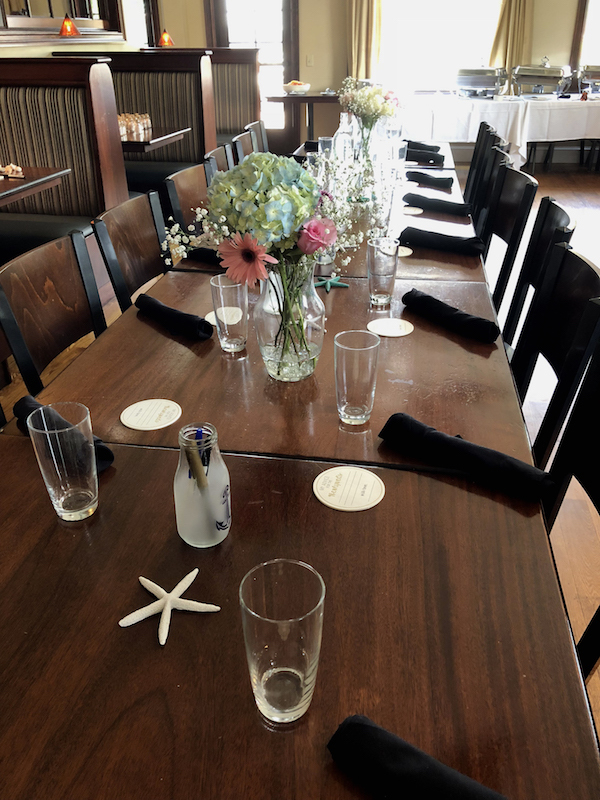 And the table setting is so beautiful. Nicee post!!! Photos are geat!!! Would you like to we follow each others? Wow!! I'm amazed! This looks adorable ♥ Great photos and such a wonderful ideas! 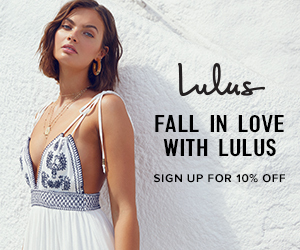 I followed your blog, would you follow me back, I'll be glad to stay in touch with awesome bloggers as you are. Oh this is just the cutest!! 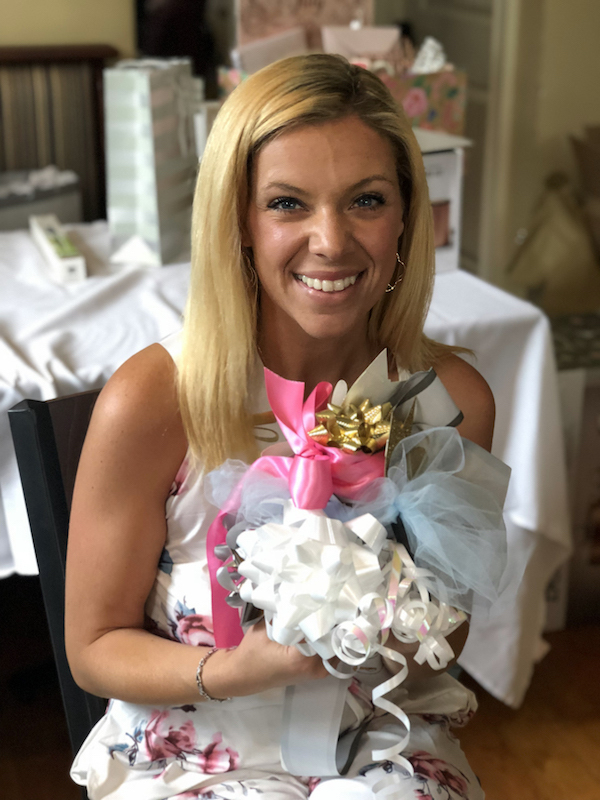 My friend is going to have a bridal shower too and this post gave me a LOT of ideas! Many issues mention about cockfight in philipine, we are from ayam bangkok merah want to explain that. You can read our article. Thanks. What a nice post! I would like to try all this! that is such a cute theme! omg that pie is such eye candy! !